Having been to Paris a few times we were looking for things to do in Paris we had not done before. 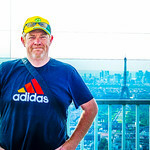 Since we had been to the top of Tour Eiffel 3 times previously we decided to check out Montparnasse Tower last time we were in Paris. Tour Montparnasse was built between 1969 and 1973. It was the tallest building in France until 2011. I have read on numerous sites that Tour Montparnasse provides the best views of Paris and this is often said because of it the only place in Paris where you cannot see Tour Montparnasse. Honestly, I thought this was slightly harsh! 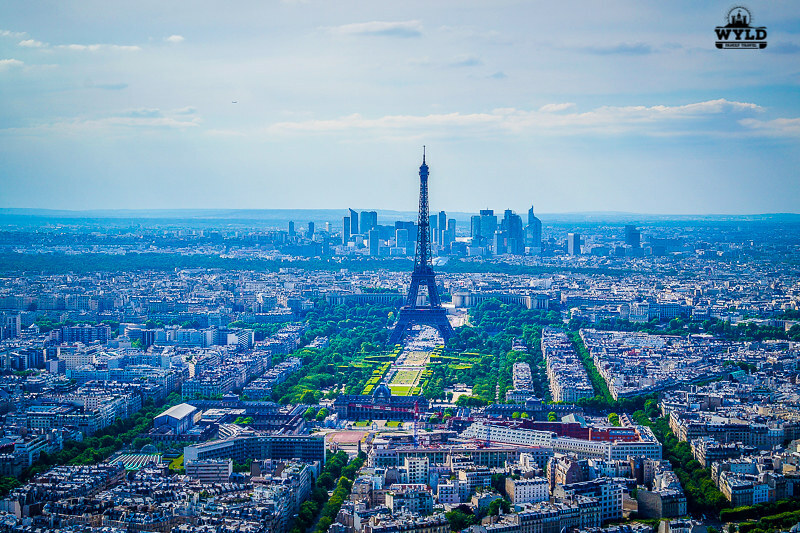 Get the best views of Paris from the 56th floor of Montparnasse Tower (indoor) Relax with a drink as you soak up the Paris panorama Go to the highest open-air roof terrace in Paris Enjoy bilingual interactive touch screens making it a great day out for the entire family. For latest PRICES click HERE! Over 1 million visitors a year. Montparnasse 56 is one of the top tourist attractions in Paris. We visited Tour Montparnasse on our first afternoon in Paris. We thought it would be a fun activity for us all and provide some amazing views of Paris that we had not seen before. 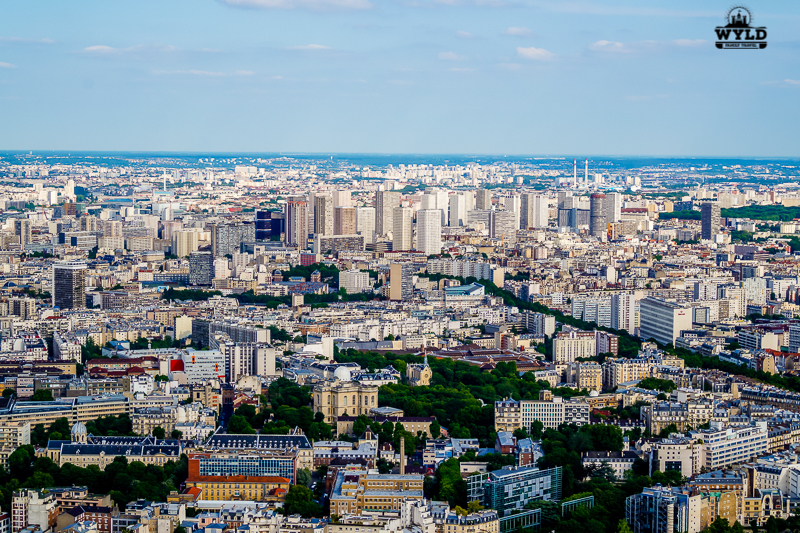 On a clear day, you can see over 40 kilometres in each direction from the top of Observatoire panoramique de la tour Montparnasse, while it wasn’t perfectly clear the views were all we had hoped for! Getting to the top is a breeze at Tour Montparnasse. You see the building has Europes fastest elevator that takes you to the top. In just 38 seconds you will be whisked to the 56th floor of this Paris Skyscrapper. 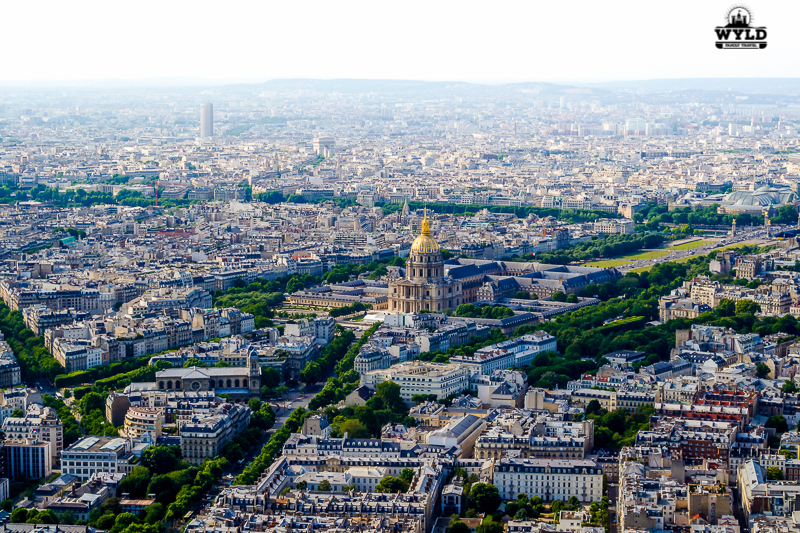 You will see all amazing sites and districts of Paris through the glass like Les Invalides, The Eiffel Tower, Sacré-Coeur, Notre-Dame Cathedral, The Luxembourg Gardens, The Louvre, La Défense and so many, many more. There are all sorts of displays for you to look at, some interactive, some just plain, some educational for the kids and adults alike. I love that these type of places always seem to have an exhibition of old photos of the city or photo’s that are relevant to what you are seeing and experiencing. It really gives you some insight into how the city has grown into the most visited city in the world. At 210 meters you have The Panoramic Terrace. The Terrace takes you onto the roof of Tour Montparnasse. The tour Montparnasse view allows you to literally see, feel and smell Paris like no place else except maybe Tour Effiel. The Terrace is surrounded by glass panels as well for safety measures but has an open roof for the amazing panorama Paris view. For further Paris accommodation options Budget Your Travel has 15 great Hostels in Paris for you in 2019. There is the 360 cafe and the Champagne bar at the top of the tower. The 360 cafe serves hot and cold drinks, snacks and meals. A little something for everyone. The Champagne bar at Montparnasse lets you sip a glass of bubbly while enjoying the scenic views of Paris. What could be more romantic in the city of love. Sitting on the terrace makes you feel like you are on top of the world. It’s an amazing feeling that you are looking down on Paris from way above and there is nothing nearby that is higher than you. Family Travel Tip: Overall Montparnasse Tower is a far better option than the Eiffel Tower when visiting Paris with kids. There will be very little waiting at Montparnasse to get to the top. Basically, the only waiting will be for the elevator to go up and down. At the Eiffel Tower in Paris with kids, the wait will be in the hours to get to the top. There is seating at the top of the rooftop Montparnasse and food and drinks are available. The kids loved the elevator ride to the top. The kids were not so keen on the open air panorama Paris view. 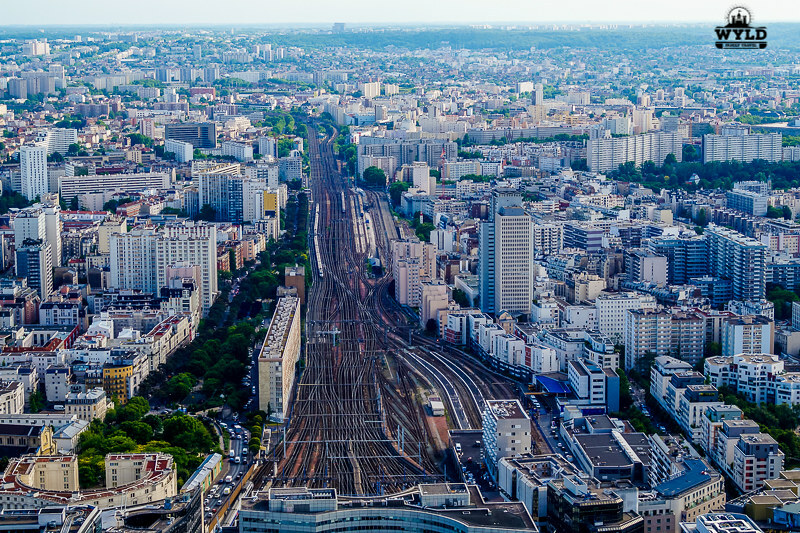 Montparnasse 56 is more easily accessible from Public transport than the Eiffel Tower as well. In perspective, we had a great experience at Montparnasse Tower. We spent a good amount of time there within the 1 to 1.5-hour range. We would certainly go back again and visite Tour Montparnasse. Wyld Family Travel would recommend it to anyone else that loves a good viewing platform. If you have the time and the money the Montparnasse Tower restaurant would be a great place for a meal. This is certainly one of our top things to do with kids in Paris. 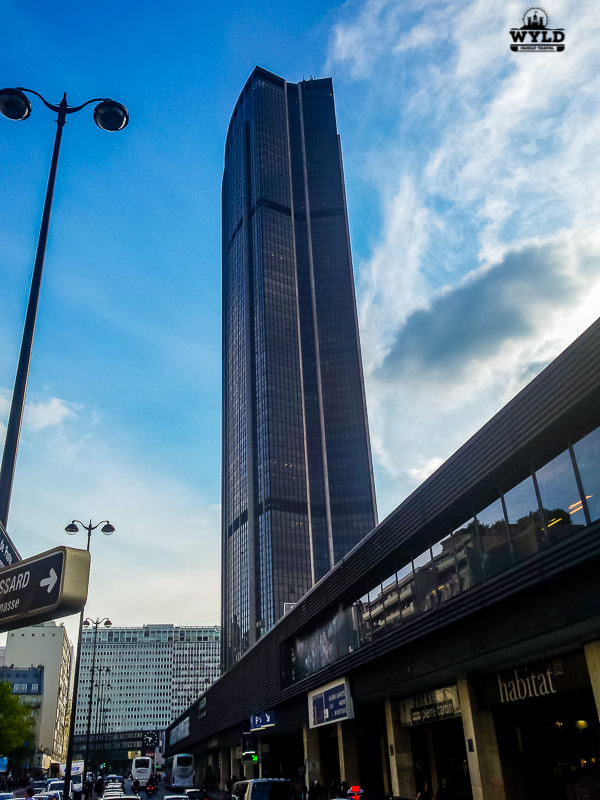 To visite tour Montparnasse by public transport the nearest Paris Metro Station is Paris-Montparnasse. Montparnasse station is one of the six large Paris railway termini, and is located in the 14th and 15th arrondissements of Paris. There is also car parking below. I m obliged for the blog article.Really thank you! Fantastic. Great Pictures. I have been to Paris but did not visited Montparnasse tower. Seems to be nice place. 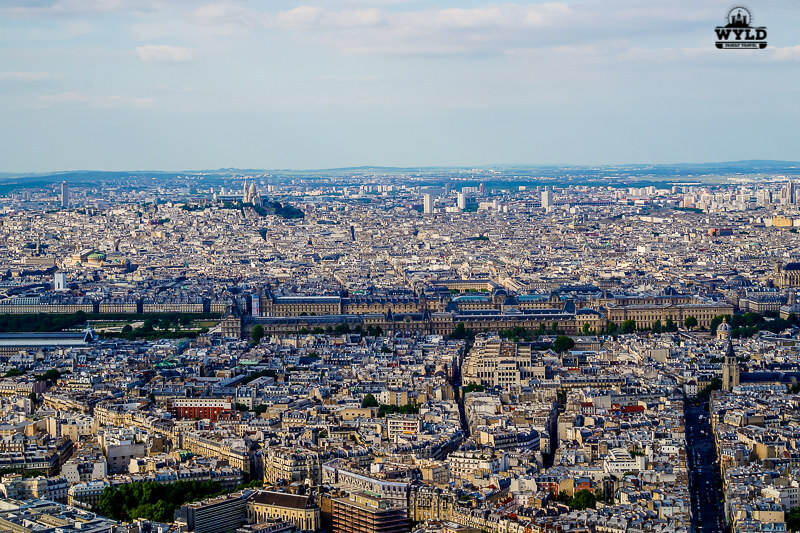 Montparnasse is absolutely beautiful, and you’re right that ascending the Montparnasse tower with small children is considerably easier than navigating the Eiffel tower! I’m not a person fond of looking at the cities from above, but I guess Paris would be different when you can look around for famous landmarks. Oh wow, I’d love to climb to the top of the Tour Montparnasse, 210 meters is high! The views look amazing from up there! Also, sipping champagne on the Panoramic Terrace? Yes please! I’ve always been just as happy ‘to see’ the Tour Eiffel. I’ve actually never done a ‘tour’, but Montparnasse Tour is a great suggestion to get the view! Love your shot of the Tour Eiffel from the tower. I completely missed this last time I was in Paris – I have to see these views next time I’m in town! Never heard of this place before, sounds like a great alternative to the Eiffel Tower! I wish we had time for this while we were in Paris, that view is incredible! Excellent article! I have to admit you did a really good job on this article! Very informative and I love the pictures! Makes me want to go Paris and see it for myself. Awesome job Mark! Looking forward to your future travel articles!